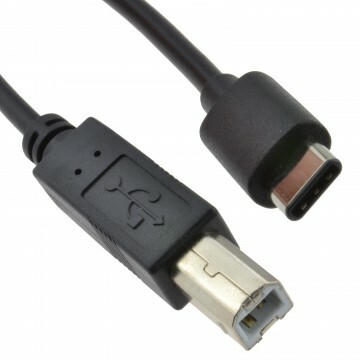 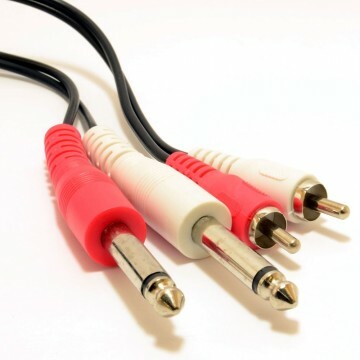 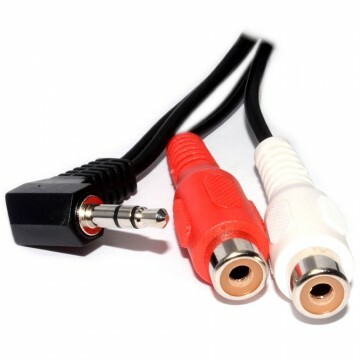 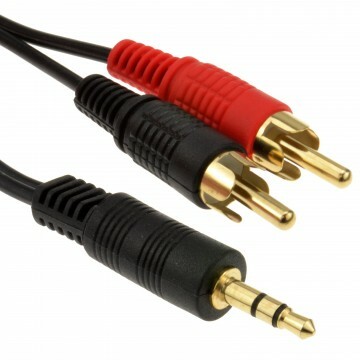 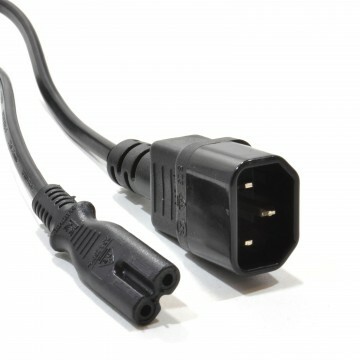 3.5mm Right Angle Mono (1 black ring) Jack plug to 2 x RCA Phono plugs. 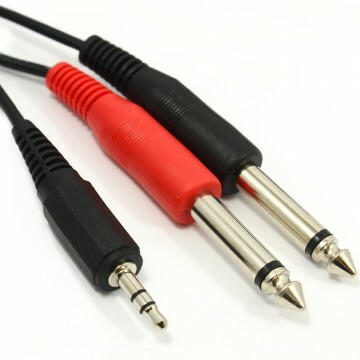 Converts a mono signal to 2 sides of a stereo connection i.e. 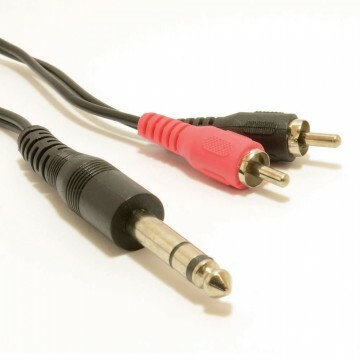 both channels of the stereo signal will have the same single channel on it.